Created for the purpose of promoting self-literacy, the Know Yourself Foundation is designing the blueprint for a comprehensive program that strengthens SEL (Social Emotional Learning) and STEAM (Science, Technology, Engineering, Art and Math) learning. We are gathering data and building support for these programs and activities, to show they are an essential part of 21st century learning and critical to the next generation's success. We are starting in classrooms across the United States, with our primary focus on sites that serve our most marginalized young people. We have secured several program partners that complement our strengths and allow us to achieve results quickly. All are innovative organizations that bring unique experience in education: Scholastic (the most trusted name in children’s publishing and curriculum); First Book (28 years of single-minded focus on helping Title 1 school children reach their potential); Story Pirates (innovators in educational theater, podcasts, videos, and laughter). All are poised to contribute as we roll out the first step of a multi-year plan that will reach millions of students, classrooms, and households in record time. Know Yourself Foundation is the not-for-profit arm of the Public Benefit Corporation, Know Yourself, which was created in 2012 by entrepreneur, educator, artist and mother, Nancy Howes, and her husband, renowned Silicon Valley entrepreneur and computer scientist, Tim Howes. 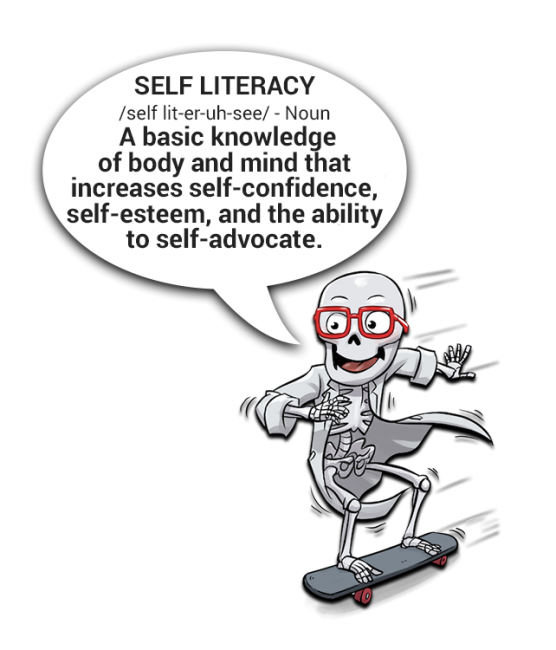 Our mission is to teach all kids self-literacy: a basic knowledge of body and mind that increases early learners’ self-confidence, self-esteem and ability to self-advocate.